to the hot mess that followed "The Decision" that Lebron James made on ESPN Thursday night. I can't believe how fired up I am about the whole thing. 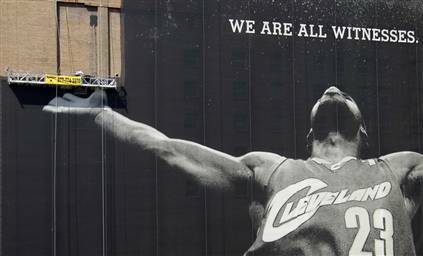 I am not that big of an NBA fan, however, I am a fan to my city of Cleveland and all of our beloved sports teams. I will start off by saying that this decision was LeBron's, and LeBron's to make. I know how it works, he can go where he wants, it's a job, it's a business, etc. With that said, what I am upset about, and what the whole city of Cleveland is upset about, is how he went about handling it. The first issue I have is that LeBron didn't even have the courtesy to call Dan Gilbert, the owner of the Cleveland Cavaliers, five minutes before the whole dog and pony show that occurred on Thursday night to at least inform him of his decision. Dan Gilbert had to hear it like the rest of the country did. The second issue I have is that he also never once thanked the City of Cleveland, the City of Akron, or the Cleveland Cavaliers for all of their support over these past seven years that he played. I think if he would have done both of these things, the reaction would have been a lot different. We are now 'Witnessing' one of the ugliest breakups that rivals the one that occurred on Monday night between Jake and Vienna of The Bachelor. I just wanted to throw my two cents out there and to document what has been going on around the city of Cleveland these past few days. I can not turn on the radio or the news without hearing about this. I haven't seen this kind of fall out since Art Modell moved the Cleveland Browns to Baltimore. 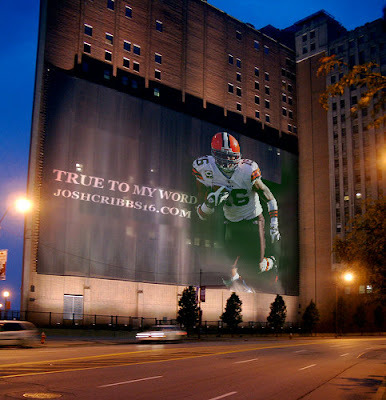 Cleveland is always sad to see it's free agents go on to bigger and better things. Cleveland is fully aware that we are a small market team and can not compete a lot of times with the New York's, Chicago's and the Miami's, however, I have never seen any of them leave as ungraciously as LeBron. 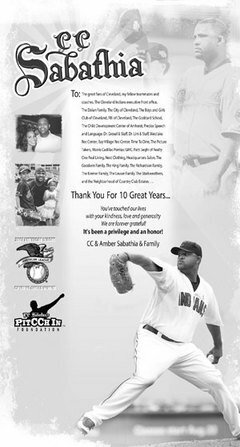 CC Sabathia took out a full page Ad in the Cleveland Dealer thanking the city of Cleveland for the ten years he spent as a Cleveland Indian. We lost him to the New York Yankee's as a free agent, however, he was a class act throughout the whole free agency proces. My nieces met LeBron James at the airport last year. They too are sad to see him go. A picture from today's dismanteling of the 'WITNESS' mural in downtown Cleveland. This symbolized hope for many years in Cleveland. It is now a horrible reminder of how we were treated. Cleveland Police has been guarding this sign ever since Thursday night in fear of what someone might do to it. This picture has been floating around Facebook and I think it is an appropriate replacement to the 'WITNESS' mural. I am even more looking forward to this year's Cleveland Browns season after Josh Cribbs decided to stay here to play. I'm not into the NBA at all but I couldn't help but get sucked in to all of the LeBron drama the other night. That whole show was completely ridiculous and tacky. I can't believe that he called himself loyal. Seriously? Cavs fans have every right to hate his guts now. I loved Dan Gilbert's letter on their website. Awesome. Very well said. I seriously thought we were going to have rioting in the streets Thursday night, lol. He has every right to decide where he wants to play/live, but to go about it the way he did...that is NOT the way legends are made. I also don't care about the NBA, but I find the ego involved here to be disgusting (and a big part of why I don't care about the NBA to begin with). I was laughing hysterically at Dan Gilbert's letter, I hope Cleveland wins the championship next year. I agree, I'm not even from Cleveland and I find it super annoying! Was wondering if anyone would post about this - I agree wholeheartedly as another FAN and Season Ticket Holder....I am upset at the way he did it but can understand his motives too. Given the opportunity, others would take the opportunity that is best for them - but the way he went about it was pretty much saying FU Cleveland....it's sad because I thought he was a class act guy - but my feelings toward him are totally different now. I have not blogged about it because we've been busy and quite frankly I'm ready to move on to bigger and better things. We did not renew our season tickets because we had a change in finances and were slightly worried that he may not sign so hubby didn't want to invest again and we were going to just hit a few games a season instead of being tied to the season because with our kids activities as they get older we were finding it hard to make all the games and now getting rid of them may be a bit harder being that we don't have the draw of the so called KING. So sad.....I will watch the Heat because my hubby is a LeBron fan and wasn't necessarily a Cavs fan but it still will leave a bad taste in my mouth seeing him in anything but a CAVS jersey. ha...this has not a thing to do w/ LeBron. I just came across your blog and I'm enjoying reading about you and your little girl. She is too cute! 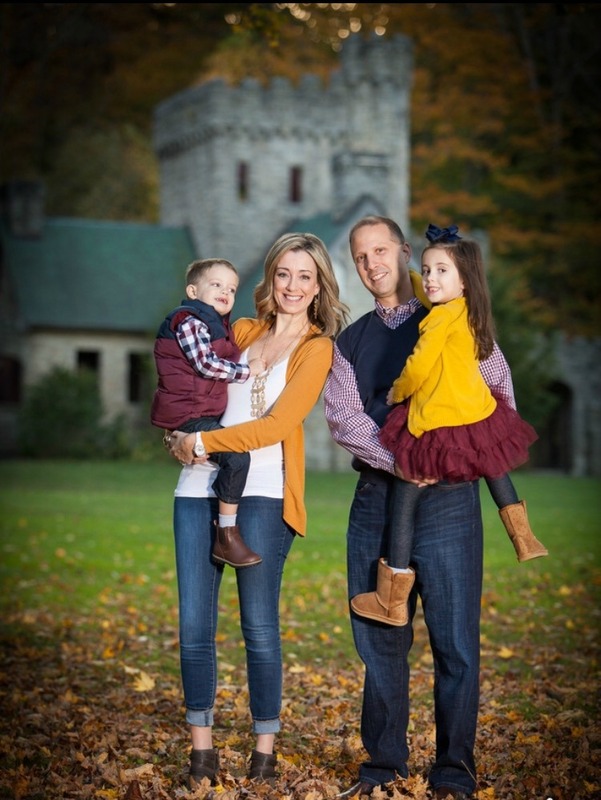 My son is just a few weeks older than her and I love to read what other babies are up to. 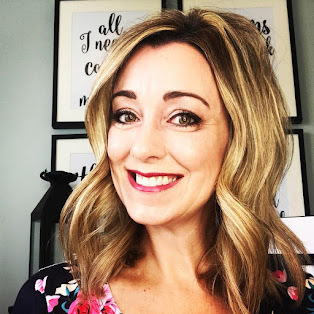 Hope you'll check out my blog! I heard someone say it best "it was like breaking up with your girlfriend on national TV"...not cool LeBron...not cool at all. LeBron went from hero to zero in Cleveland in the blink of an eye. He's a ego-maniac and I've never been a fan of his. 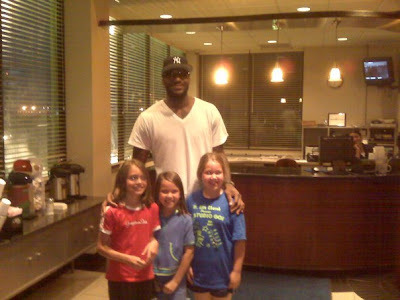 I wish the Cavs the best without him and his big ego!